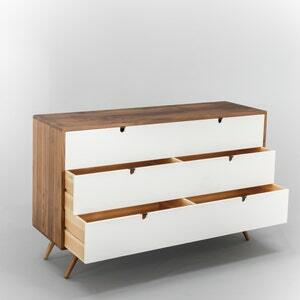 This wonderful chest of twelve drawers presents an elegant but simple Mid-century design. 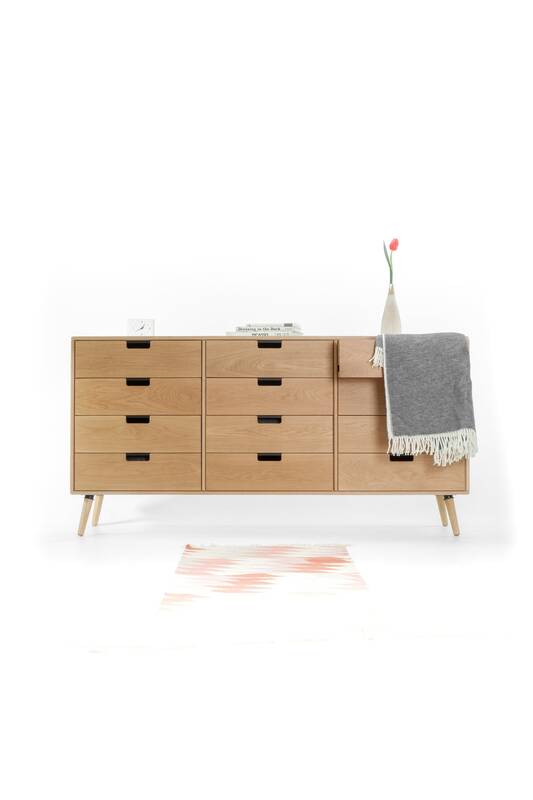 The edges of the furniture are radiated to soften its profile. 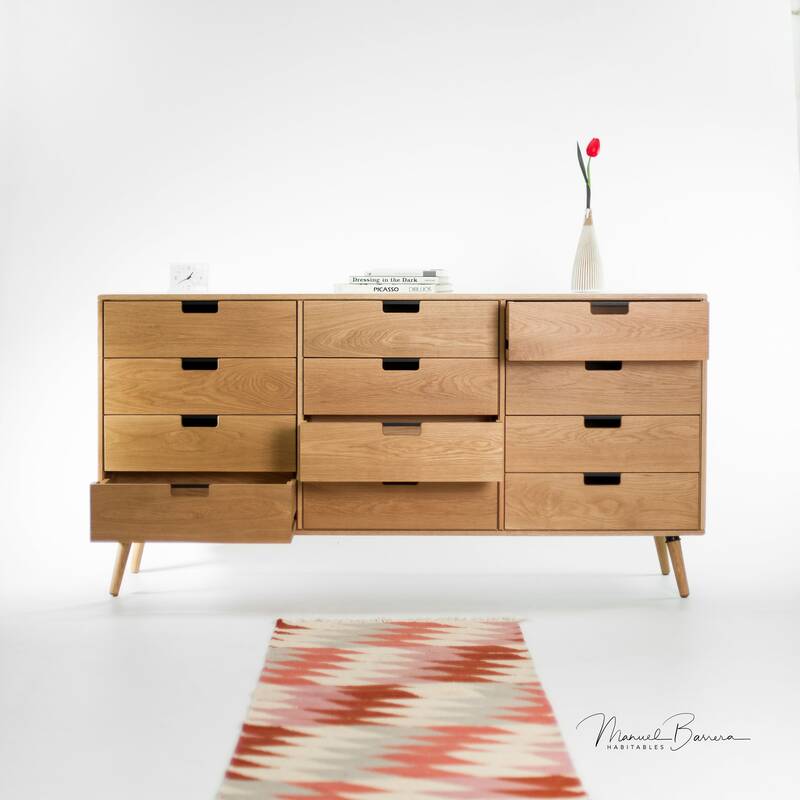 Handmade in Spain from planks of American solid wood of the highest quality. 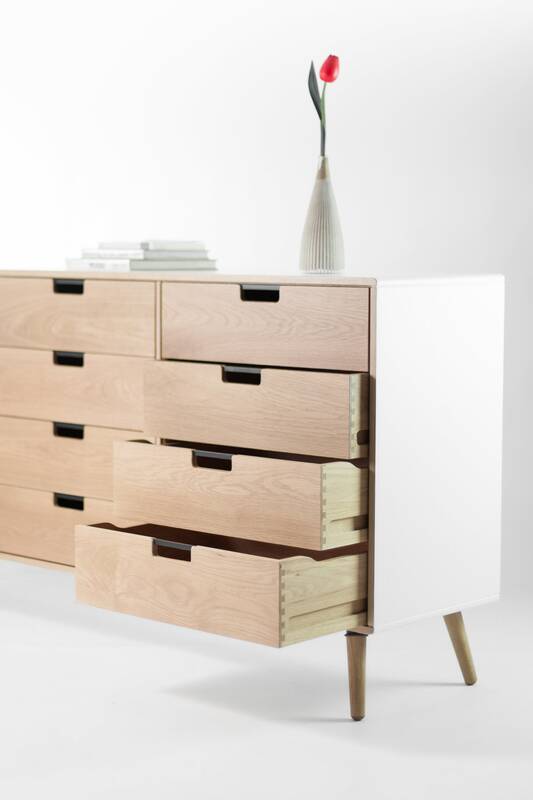 100% solid wood board, except the bottom of the drawers and the back panel that are natural veneered. 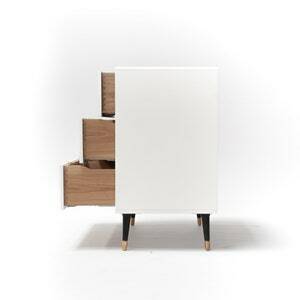 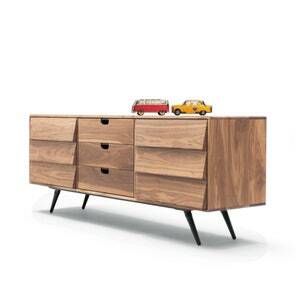 The sides and bottoms of the walnut furniture drawers are made of solid beech to highlight the color contrast. 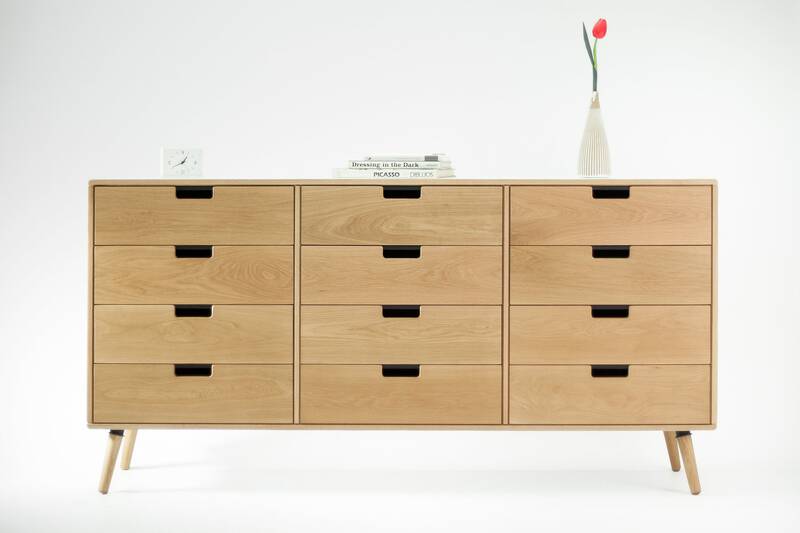 When the finish is oak, the sides are in oak too. 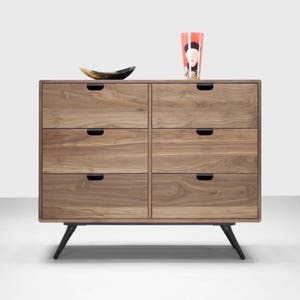 - Length 180 cm / 70.87"
- Deep 45 cm / 17.72"
- Height without legs 71.5 cm / 28.15"
- Total height 91.5 cm / 36.02"
- Width 54 cm / 21.26"
- Deep 39 cm / 15.35"
- Height 16.5 cm / 6.50"